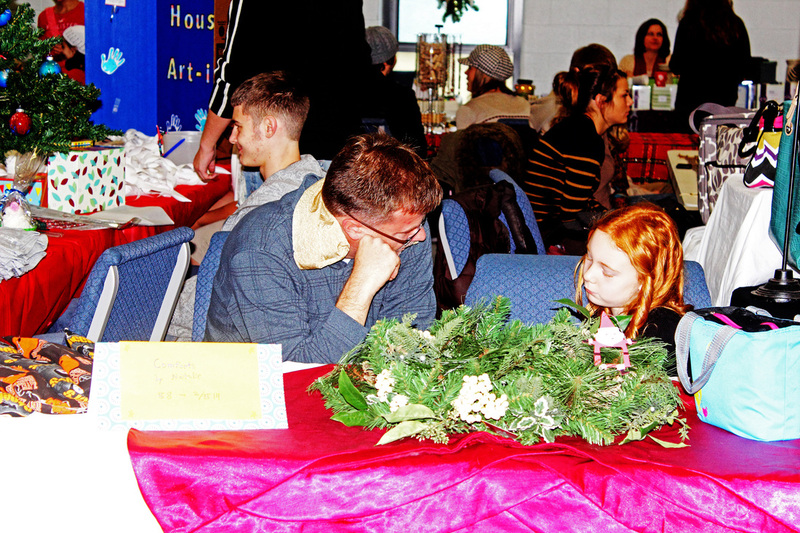 This little girl, Natalie Millit, sitting with her dad at our Bazaar sold her own idea of corn comforters. They are filled with corn. You stick them in the microwave for a couple of minutes and then put them around your neck or wherever you need, and they take care of pain and create an instant calm for sensory issues. They are amazing! We have some to sell for her. She wanted to donate all of them to us, but we want to help her out as well so we are selling them for $8.